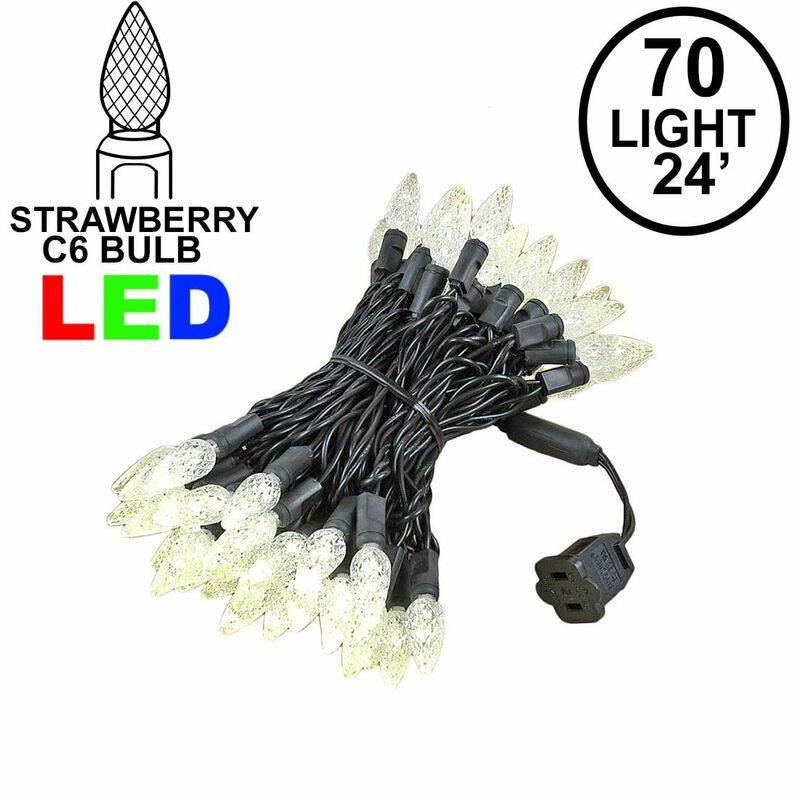 Our 70 and 100 Light C6 Strawberry LED Mini Lights are a smaller version of C7 traditional Lights. The decorative, faceted lens diffuses the light, creating bright attractive colors perfect for any indoor or outdoor displays. 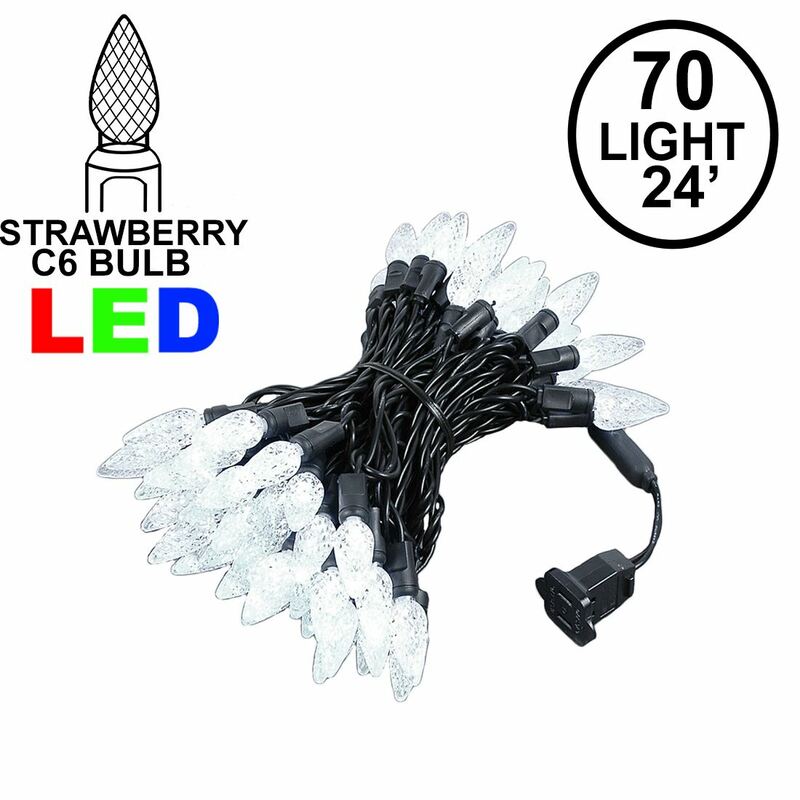 These C6 LED Christmas mini lights are not only energy efficient but extremely durable. Making these Strawberry LED mini's sure to last for many seasons.